Ahoy matey! 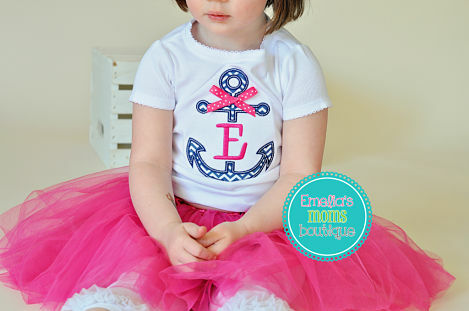 Your first mate will look adorable in this shirt! Colors can be changed, just contact us first. Leave the initial in the notes section. 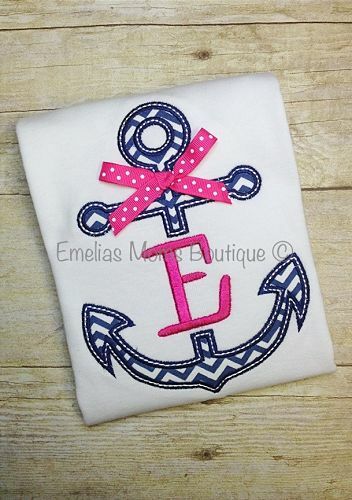 This adorable personalized Anchor shirt is sure to get her noticed. The nautical navy blue anchor with a splash of Pink will make others look twice. Items ship within 7-10 business days via USPS after payment is received. A $10 rush fee gets it to you faster, just contact us first. Thanks for shopping Emeilas Moms Boutique!